SprayClad UK was established in 2010 by our two directors. They started the business with one main priority. That is quality. They wanted to ensure all our onsite and cladding repairs had the best quality products and finish they possibly could. This is something SprayClad still strive to achieve every day. With over 35 years experience in the industry our directors certainly know ‘the art of on site refinishing’. 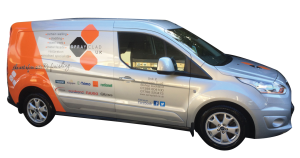 We have a rapidly expanding team which started with just four people, growing into a exceptionally strong workforce with over 25 Operatives, a Management Team and our Directors, who all strive to make SprayClad UK the best we can be. We also have 2 colour technicians within our team. One covering the south, and one the north. This allows us to always have a 100% colour match on all paints including anodised finishes. We feel this sets us apart from our competitors. Our Management team is second to none. We provide all our clients with the highest levels of professionalism at all times. This allows all our projects to run smoothly with all works completed to deadlines with the highest quality outcome. Our workforce includes a combined experience of onsite spraying of over 250 years which we believe places us above other companies in the same field. All our operatives are highly trained, and must undergo an induction period where we can ensure their skills are to the highest degree. Everyone here at SprayClad UK have a friendly and helpful attitude towards their work. Over the years we have built up long lasting relationships with our clients, whilst working closely with most of the largest manufacturers like Kingspan and Trimo. We have adapted and perfected our techniques over the years to accommodate any project sent our way. No job is too big for SprayClad UK. Over the years we have carried out projects in high security areas such as nuclear bases and our latest being New Queens terminal 2 at Heathrow Airport where we worked for over a year repairing and respraying all the Bronze anodised curtain walling, All the Trimo cladding panels, as we are Trimo approved, over 300 sets of double steel doors and various other repairs around the terminal. We believe we are the best in our industry and on many occasions we correct and tackle the projects that other companies cannot. We offer Free Surveys and Quotes and guarantees on our coatings and workmanship which, we believe sets us apart from our competitors.